By the late 11th century the Roman Catholic Church began to evolve into a distinctive – and powerful – controller of military power. At the most basic level, of course, the Church had long been a feudal landholder and was thus able to generate armed force in the same way as other feudal lordships: either by summoning vassals to provide obligatory military service or by accepting payment in lieu of service and hiring paid troops. But ecclesiastical landlords tended to raise fighting forces in this manner only when obliged to do so by their temporal feudal overlords – not to fight on behalf of the Church. Beginning in the mid-11th century, however, the Catholic Church also developed the capability to generate military power for its own (religious) purposes. They did it in ways that reflected its unique constitutive social relations, institutional capacities and place in the collective imagination of the lay and clerical populations. Specifically, unlike temporal authorities, the Church developed a capacity to mobilize secular nobles through its monopoly power within the spiritual domain of Latin Christendom. The Church could claim the “moral authority” to define “just causes” for war, to specify “enemies of the Church”, and to command the secular authorities to employ their material power resources in support of ecclesiastical interests. They could mobilize the kings, princes and states in two ways. The first involved the Church’s authority to punish secular authorities who failed either to answer the Church’s call to arms. In this respect, punishment typically included excommunication and the interdict. Perhaps more importantly, the Church also developed the capability to mobilize the secular powers in support of its interests through its monopoly power to remit sins in return for military service. In the early decades of the new millennium, lay piety had intensified dramatically throughout Latin Christendom, ultimately coming to constitute a key element of the constitutive narrative of the nobility. Obviously, however, the new script of “devout Christian” (with its entailed norms of humility, asceticism, Christian love and public displays of piety) could only ever co-exist uneasily with the older script of “noble warrior” (with its associated norms of ambition and honour and its defining practices of violence and conspicuous consumption). As a result, the members of the nobility became painfully aware of their own sinfulness and its terrible consequences, and deeply anxious to escape from them. Against this backdrop, the Church was able to summon kings, noble lords and their knightly retinues to fight on behalf of its temporal and spiritual interests by providing a means of resolving this tension – that is, by offering members of the nobility a means to atone for their sins while actually enacting the script of “warrior” (if in support of carefully delimited religio-political objectives). This was the institution of the “crusade” which I will discuss in some depth in a later column. Finally, no picture of the distinctive nature of the Church as a controller of military force would be complete without a discussion of the military religious orders. These were monastic institutions dominated by a class of lay brothers (not priests, who were barred by canon law from bearing arms and fighting) who were warriors dedicated to the defence of Christendom. In most respects, they differed little from the other monastic institutions that had become such a commonplace within the Church: they were organized into similar monastic communities, took similar vows, followed similar rules of life (including the monastic horarium), performed the same holy office, were similarly exempt from the jurisdiction of secular powers and the episcopate, etc. Moreover, as with non-military monastic orders, some (such as the Order of Santiago) were decidedly local/regional in scope and scale, while others (such as the Templars and the Hospitallers) were truly centralized, trans-local Orders of the Church. Where they did differ was with respect to their mission/vocation and the way in which they served the Church. Simply put, the primary calling of the members of these orders was twofold: to purify themselves through the pursuit of the monastic ideal and to purify the world by fighting the enemies of the respublica Christiana. 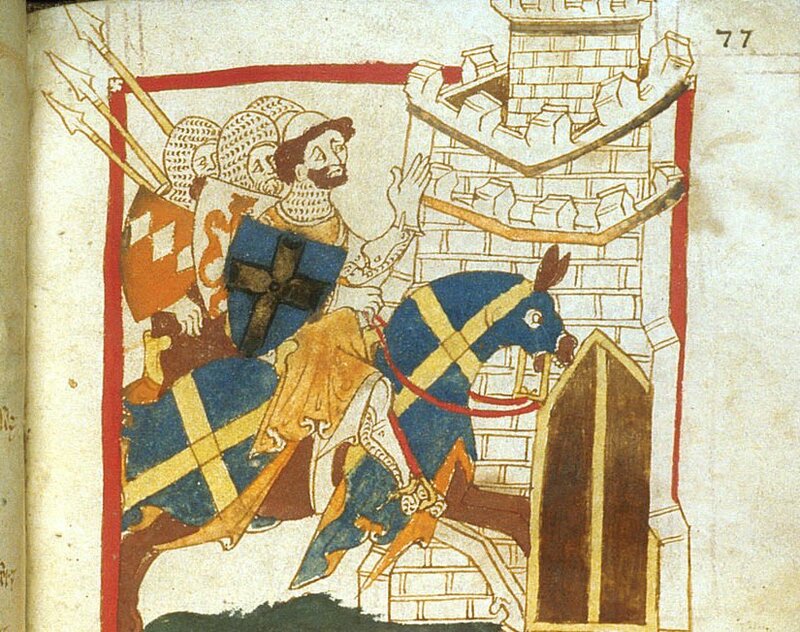 As French historian of the Middle Ages Philippe Contamine puts it, the members of these orders were both knights and monks, fighting a “double combat of flesh and spirit.” Not only were they dedicated to defeating the “enemies of the cross of Christ” and defending the rights of Christians within and beyond the political reach of the Christian commonwealth, they also believed that such a vocation was a devotional act of Christian love (caritas) equivalent to the care of the poor and sick. For members of these orders, warfare was not a cultural imperative (as it was for knights), nor a temporary act of devotion (as it was for crusaders); rather, it was a devotional way of life. Typically well-supported by wealthy patrons, highly disciplined (having submitted to both disciplina militaris and disciplina regularis), and enjoying a steady stream of recruits, these orders provided the Church with a reliable and very effective source of military power that it could and did use to advance its interests within and beyond Latin Christendom. Needless to say, this mechanism for generating armed force was unique to the Church – nothing like the military religious orders existed within the secular realm. To summarize: in the late-11th and early-12th centuries, the Church became a significant and distinctive controller of military power within the medieval Latin world order. To be sure, ecclesiastical mechanisms for generating armed forces were imperfect and somewhat clumsy: while the Church did come to develop its own directly controlled military forces (the military religious orders), for the most part it was forced to mobilize the resources of the armed laity to fight on its behalf. These forces were not subject to strict hierarchical control and the ability of the papacy to direct these forces was always somewhat constricted. However, in an era when states typically did not exercise either a clear monopoly over or strict control of the legitimate use of force, this was also true of the kingdoms and lesser principalities that comprised the medieval Latin geopolitical system. The difference between these states and the Church in this connection, I would argue, was one of degree rather than kind. For all intents and purposes, the Church was just as much a war-making unit as the kingdoms and lesser principalities that populated the late medieval Latin world order.